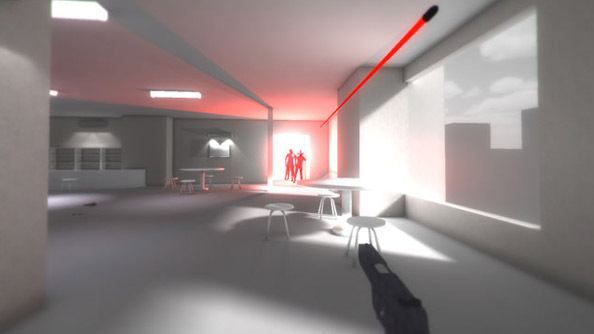 Piotr Iwanicki’s GDC 2016 talk about SUPERHOT was certainly one of the oddest I’ve seen. Over the course of a half hour, Iwanicki took us through the history of the mega-popular high-concept shooter while constantly pacing the stage and clearly speaking mostly on the fly. In the talk were all sorts of tidbits about the nature of the narrative and how development had progressed. Looking for Hollywood action? Here are the best FPS games on PC. 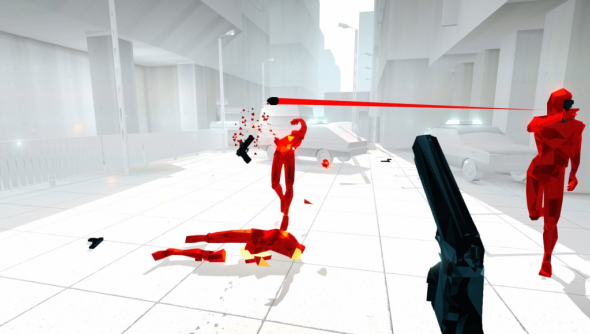 First, that SUPERHOT originally had large exploration sections, but they were cut to keep the shooting pure and the central mechanic of the game in place. “There’s no reason to continue. Always for the character inside the game, the reason for continuing was always that the player wants more, to play more game, so they drive the character inside the game, that’s a lot like them, into insanity. Iwanicki and co got these ideas from some of the most popular games in the world: “Games do this a lot. Like idle games,” he says over the projector showing Clicker Heroes. “I love idle games, I love to play them, right? But it’s also, you know the feeling of playing this game, it’s often like this mindless feeling of just clicking things. It’s fascinating – imagine like an evil sect, a religious thing, using idle games as a form of everyday prayer. This is a thing like that. “So we took those things that these games are doing: remember to play,” he flashes up an image of turning on push notificactions for game apps, pointing out that all these sound much worse in an evil russian voice, which he dutifully provides. “Tell others about the game, stay in the system, bring your friends to us.” All these combined with their own examples from the mobile and free to play spheres. 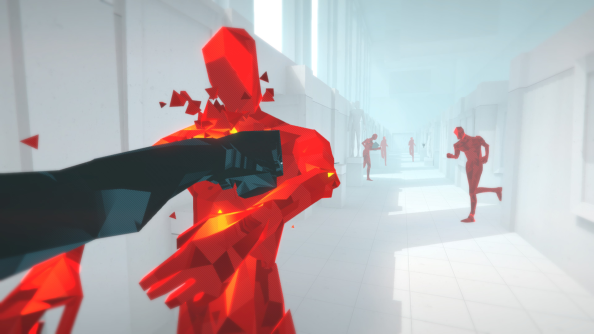 “So the thing about the story in Superhot is we don’t feel like we invented anything, we’re just doing what all the games are doing, we turned that into the theme. 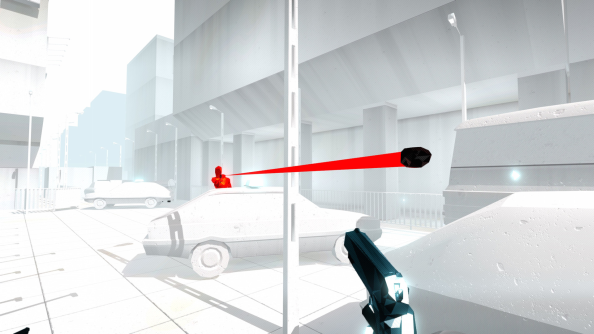 And while all those tricks are the theme of Superhot, it allows us to use them.” He says with a laugh. This is in reference to Killstagram, the replay site that produces easily watchable and sharable footage of the game. Plus the finale of the game giving you a special message to post across social media, and keys for discounts to give to friends, tied to the same words of encouragement you originally read from characters in-game introducing it to one-another. A combo of smart marketing and good writing in, bit of a non-shocker, one of the most popular games of the year so far, but it’s interesting to see how they approached it. Even the smallest details in the game were thought out, pulled from odd sources – another example was brought up by an audience member, asking why at the end of each level you’re forced to throw your gun away.